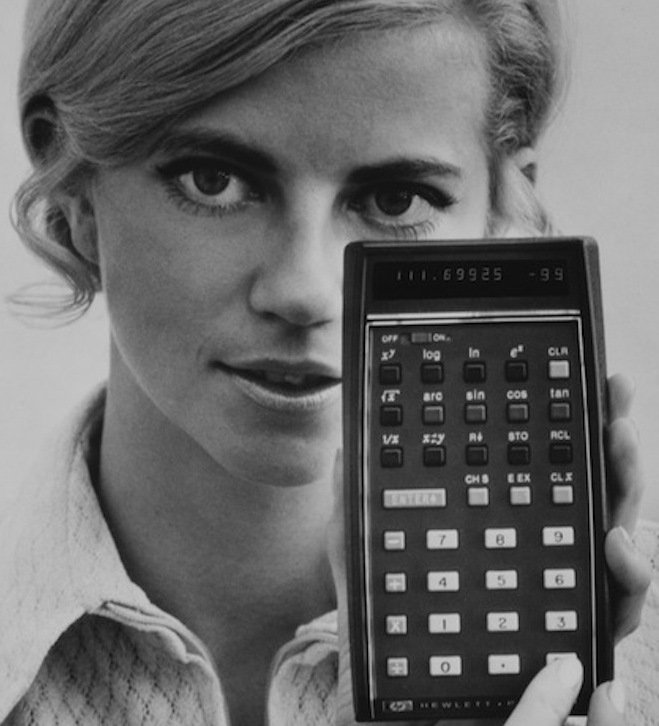 "I have no idea what this is"
In 1971, Hewlett-Packard commissioned a marketing study to see if anyone would buy a $395 pocket calculator. The marketer’s verdict? Make it the size of a typewriter, because nobody wants a small machine. ...and now there is a bounty on porting Android to its recently famous HP Touchpad. Honestly I'm a fan of this company, they took a chance on an obscure OS (based on Linux however), but then canceled it. A few recent firesales on what remained on the HP Touchpad might have reinvigorated public interest however. Decent hardware specs and a good form factor seemed to be enough. Then once HP canceled development on WebOS (that they had absorbed from Palm*) that sparked a bigger look from the tinkering community on its merits. HP then made it open source which was expected after they decided not to develop it further. I digress, my point was that this company has made some pretty important milestones in the tech/electronics field, ITS NOT ALL APPLE! When funding for R&D suffers, consumers get cheaply made products that underperform and fall apart, nobody wants that. President & CEO Meg Whitman agrees. Check out the source link for a bit more history and why the Labs division is a good thing.